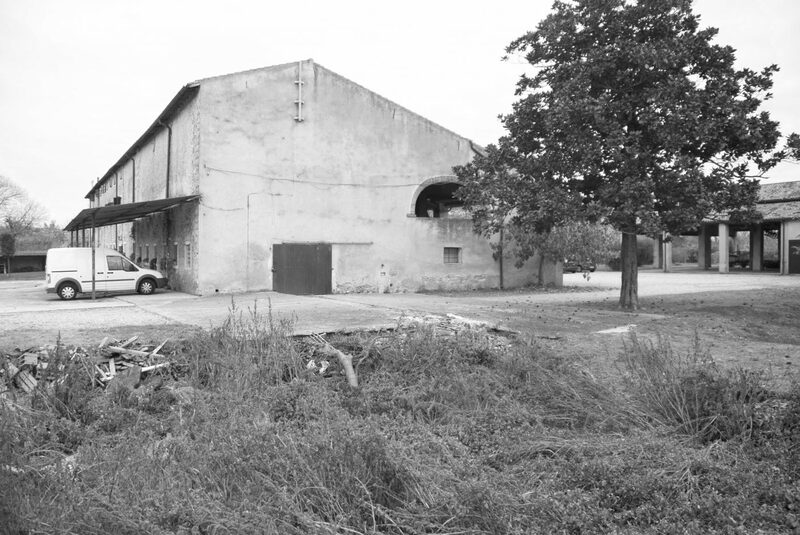 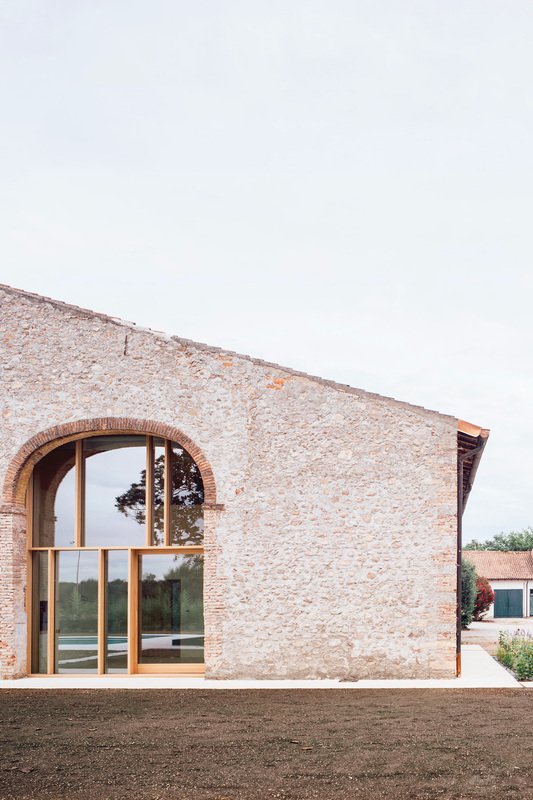 The new home has been built into a section of the barn of an agricultural court at the gates of Verona, near the river Adige. 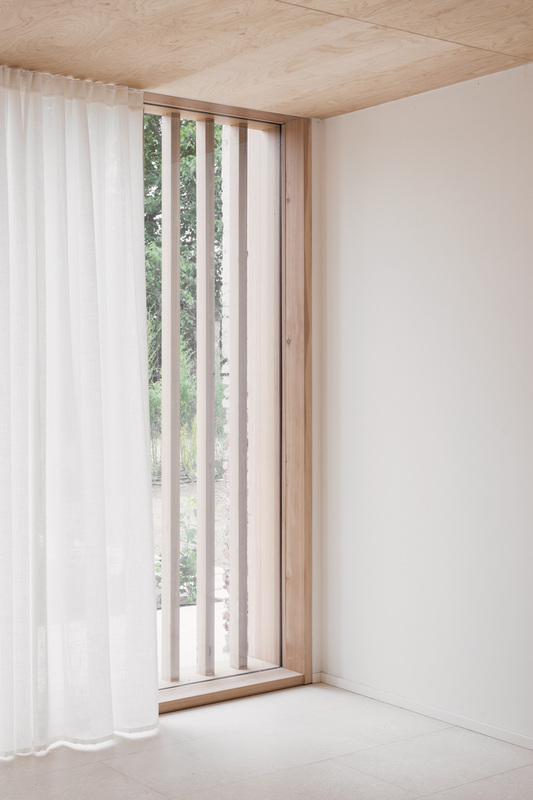 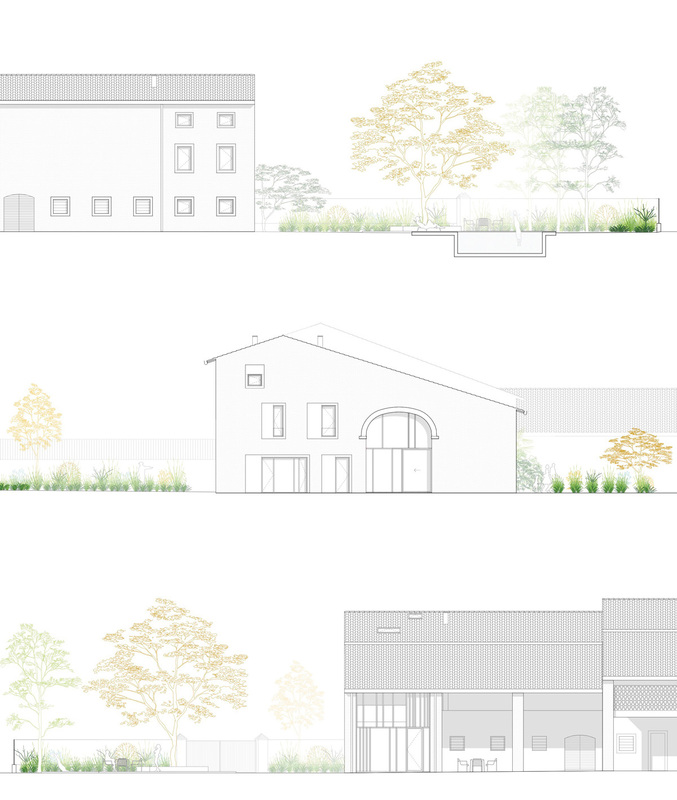 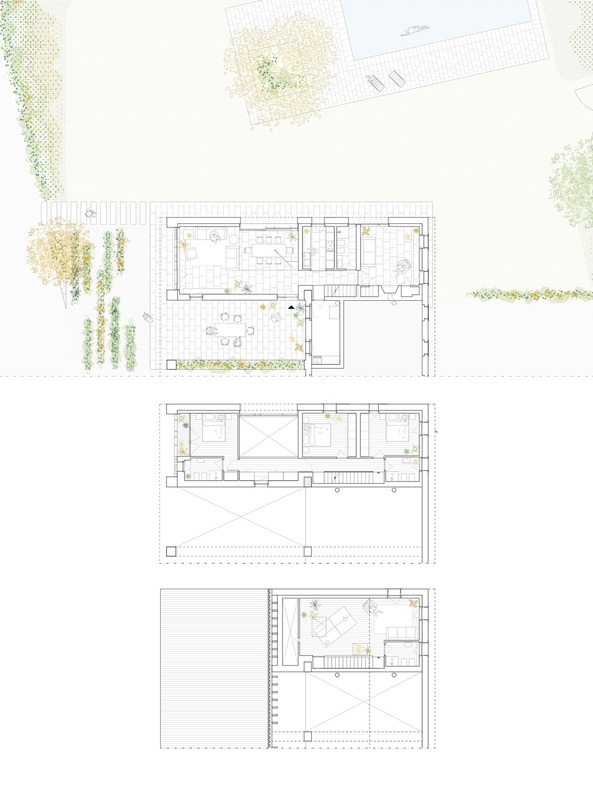 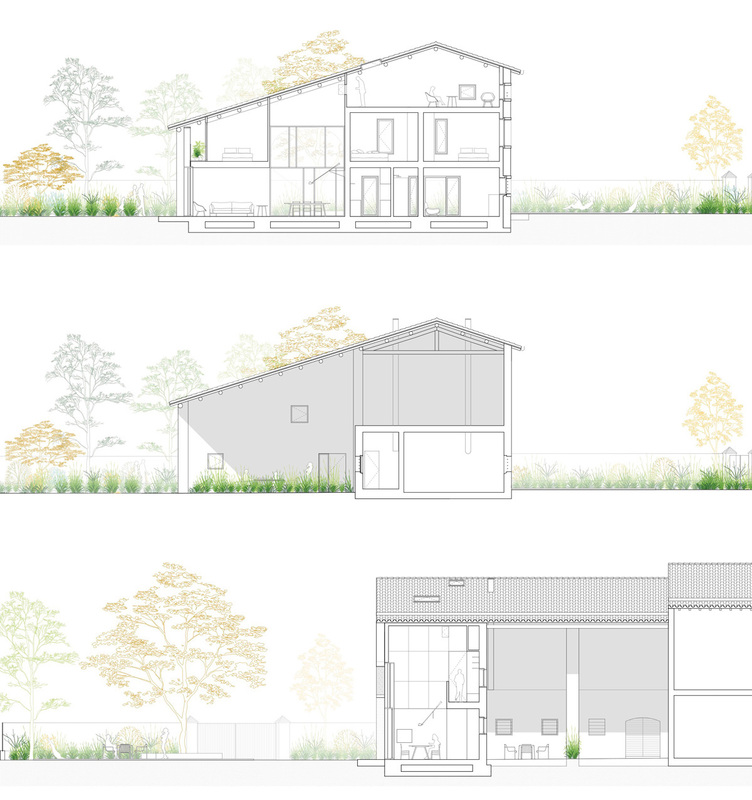 The project’s leitmotif is a spatial and material dialogue between history and modernity, and it is also characterized by the great care taken in terms of environmental sustainability. 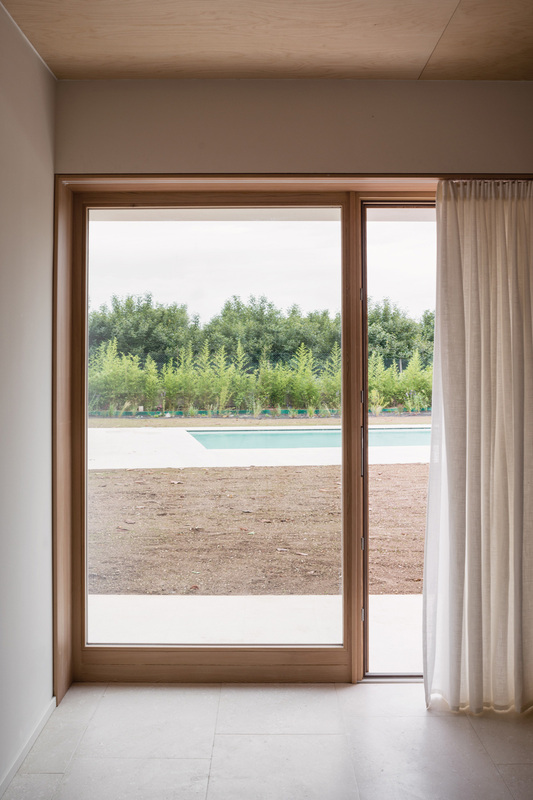 In addition to the use of technical devices and systems for efficient energy, special attention has been given to the surrounding territory and landscape in the use of materials and design choices. 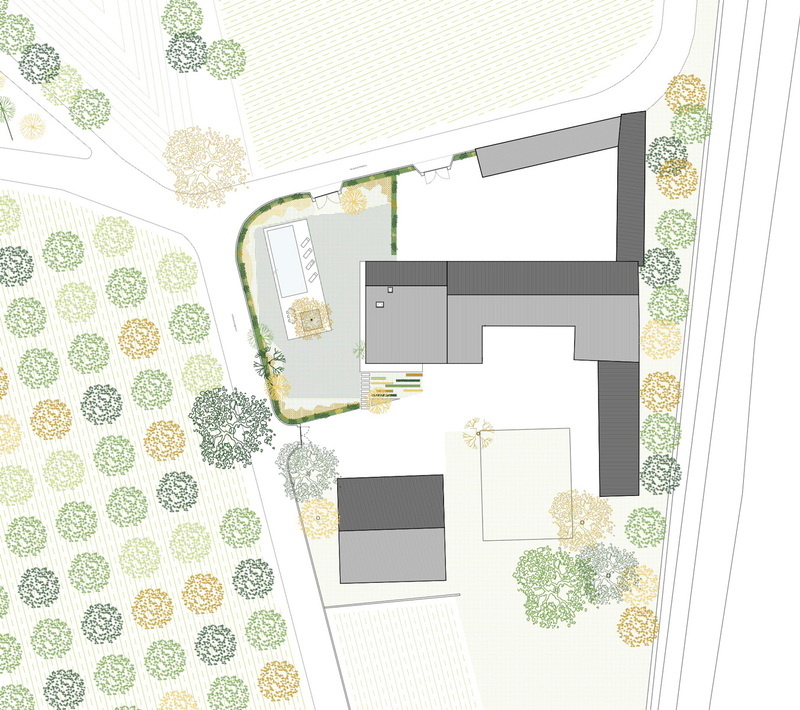 Together with the building, the surrounding garden has also been redesigned and is now an integral part of the house. 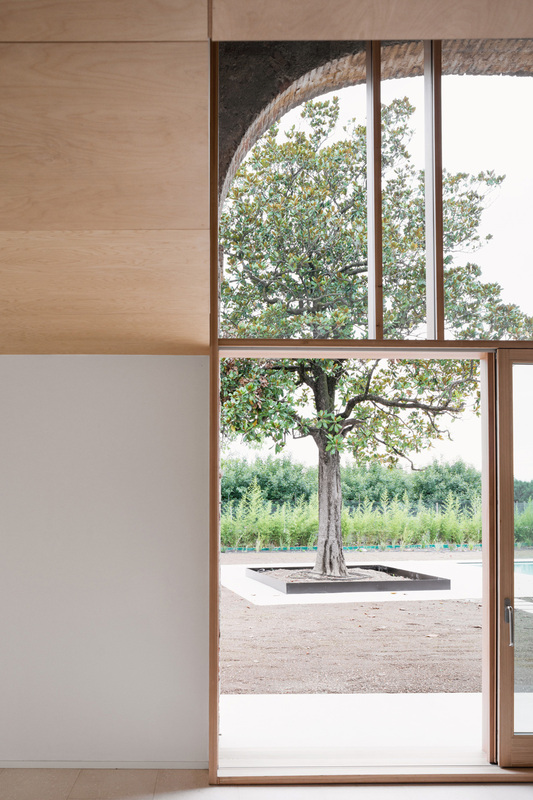 The focal element of the garden and the house is a magnolia tree, preserved upon the clients' request. 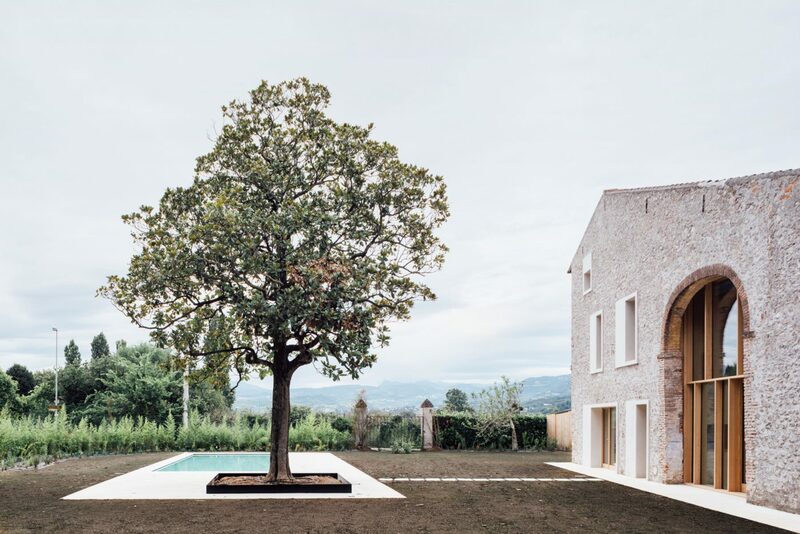 Bordered by a square black flowerbed, in contrast to the stone flooring on which the pool is set, the tree is the protagonist of the outdoor space and perfectly dialogues with the house: the shadow of its foliage is projected at sunset on the stone façade and is visible from all rooms. 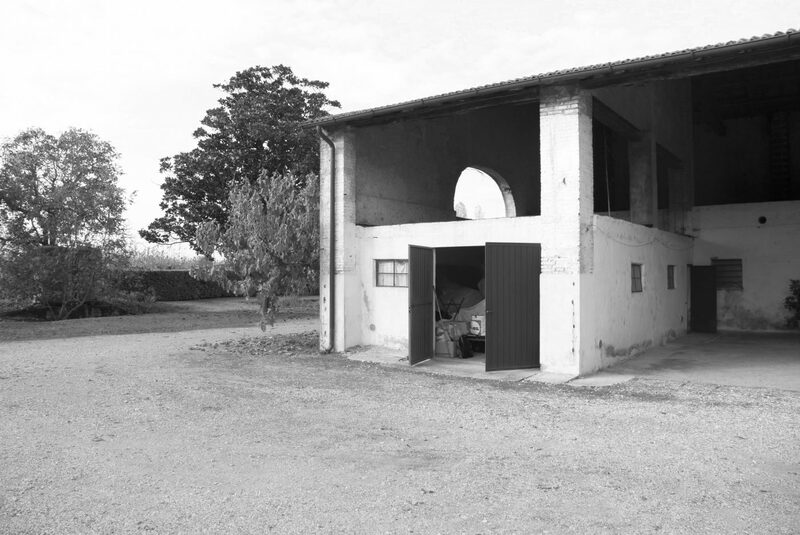 On the front towards the garden, a large arch has been reopened as a reminder of the site’s historical agricultural function, making it the fulcrum around which the spaces of the house are distributed. 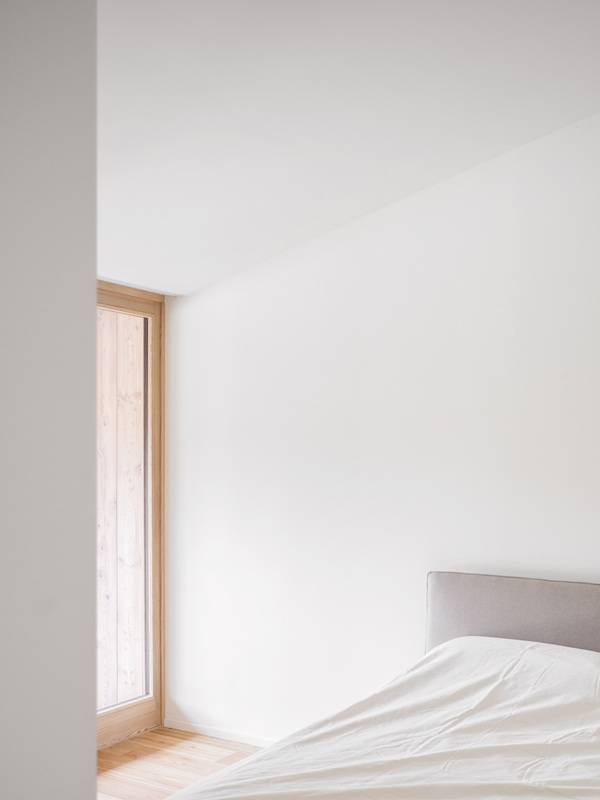 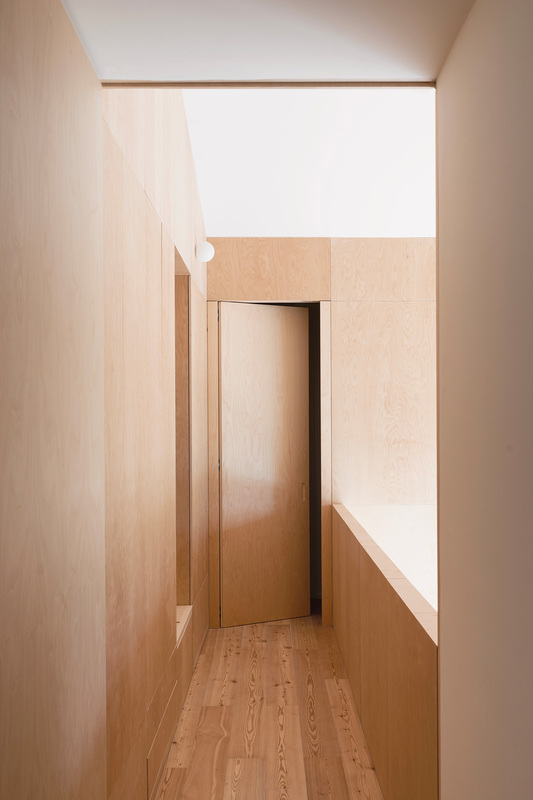 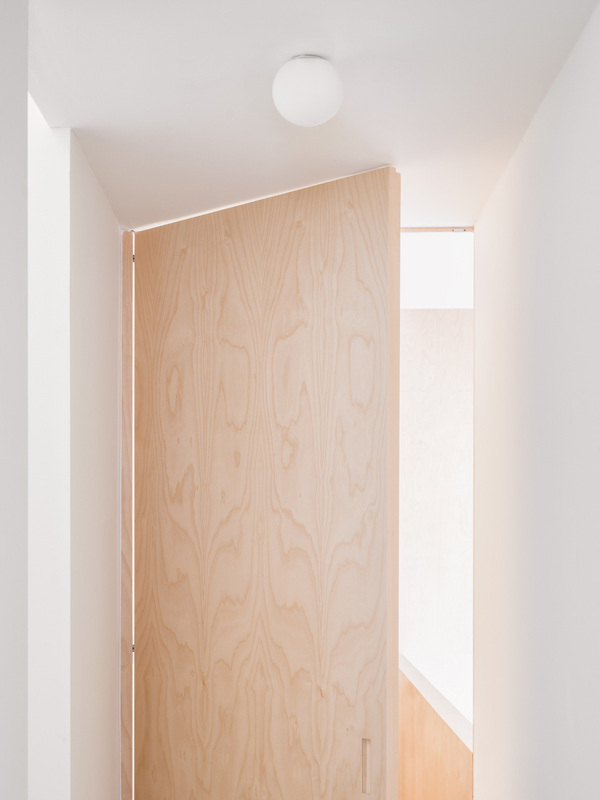 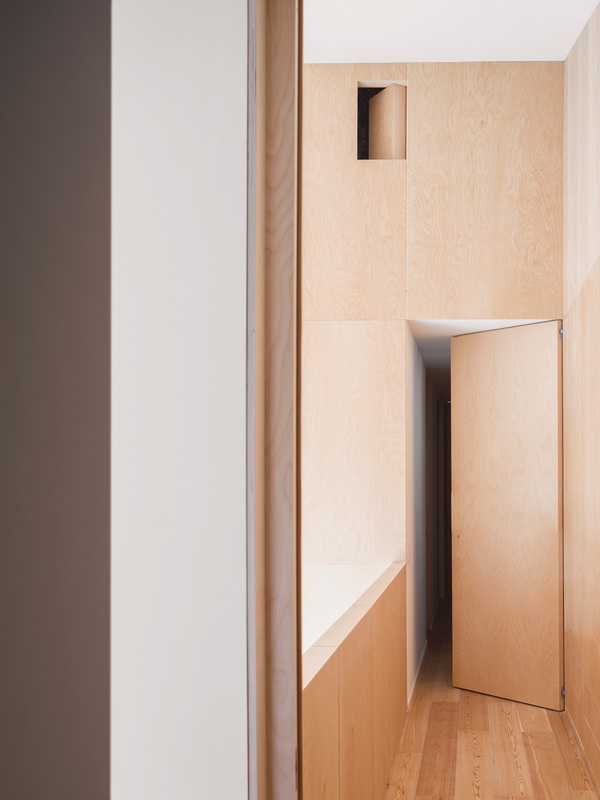 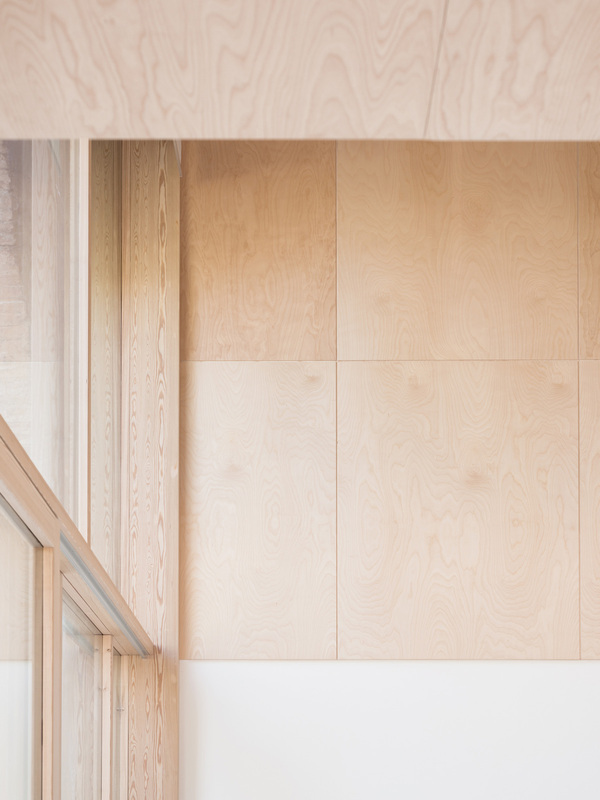 The birch plywood cladding designs and defines the interior space, marking a clear distinction between the different sections of the home. 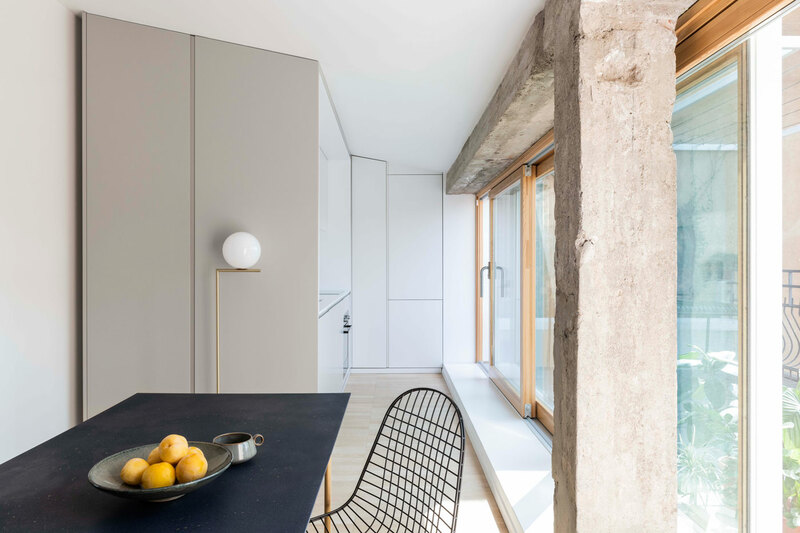 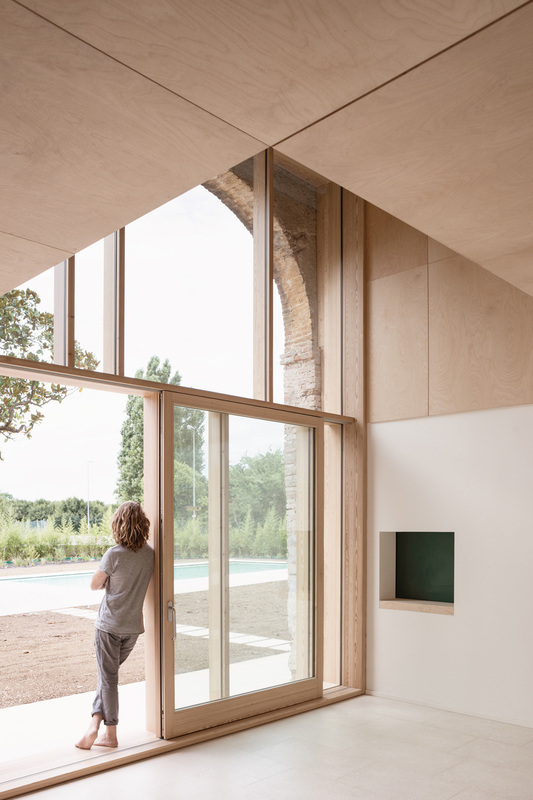 A large rear door frames the masonry arch, becoming a threshold and an element of dialogue between the interior space and the garden. 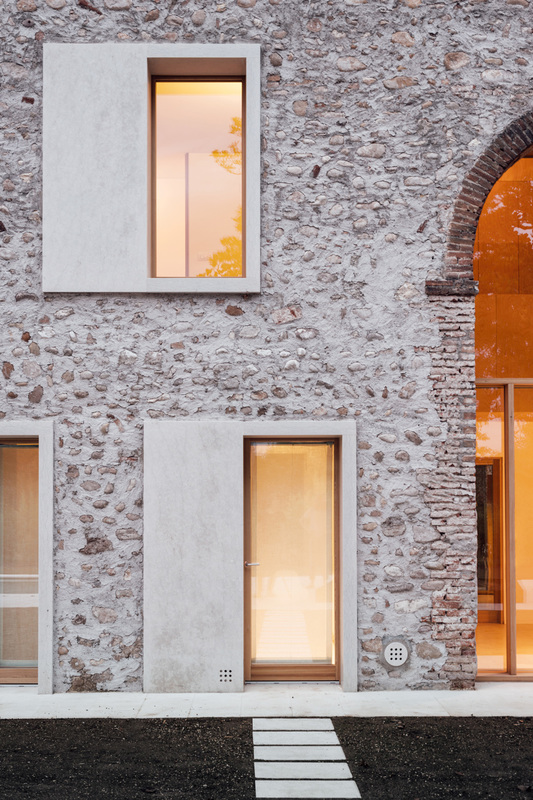 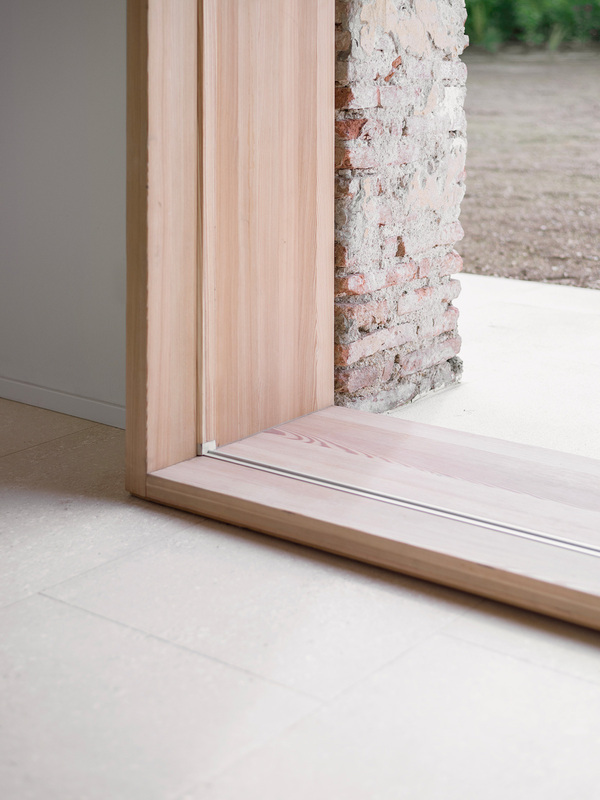 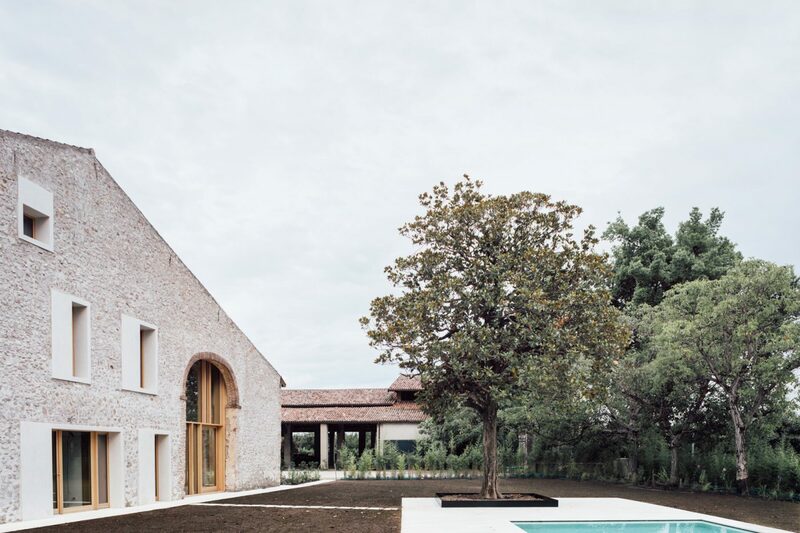 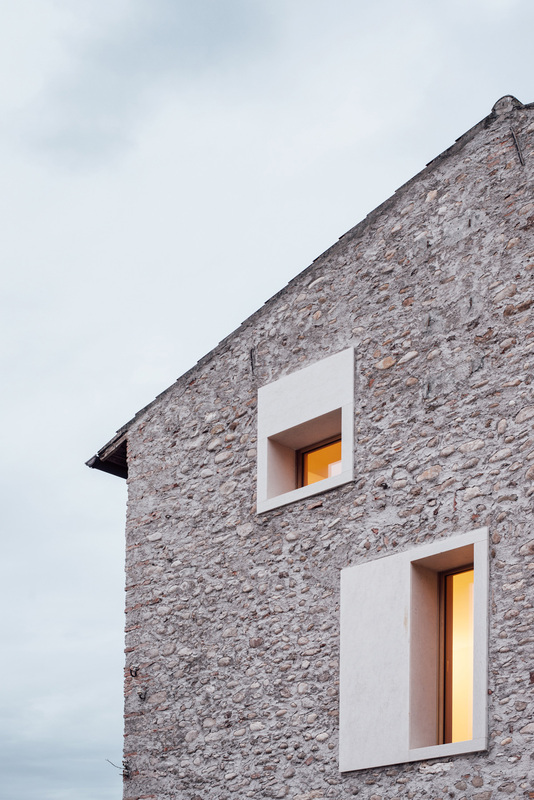 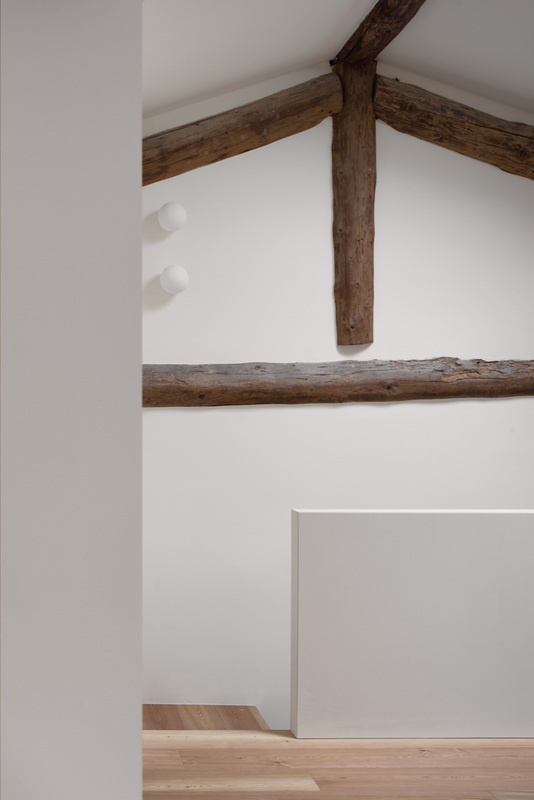 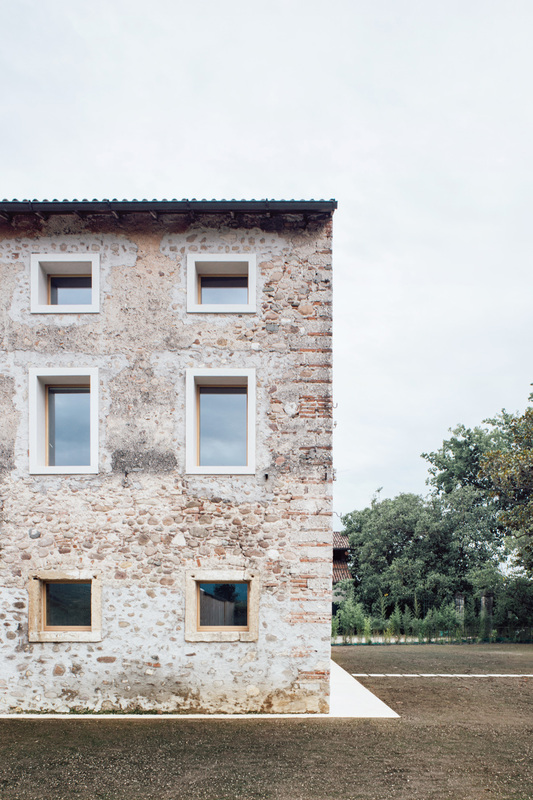 The materials of the façades are traditional and typical of rural architecture around Verona: on the façade, river pebbles are grafted on modern frames in Biancone, local stone from Lessinia and the monolithic elements that house the larch windows. 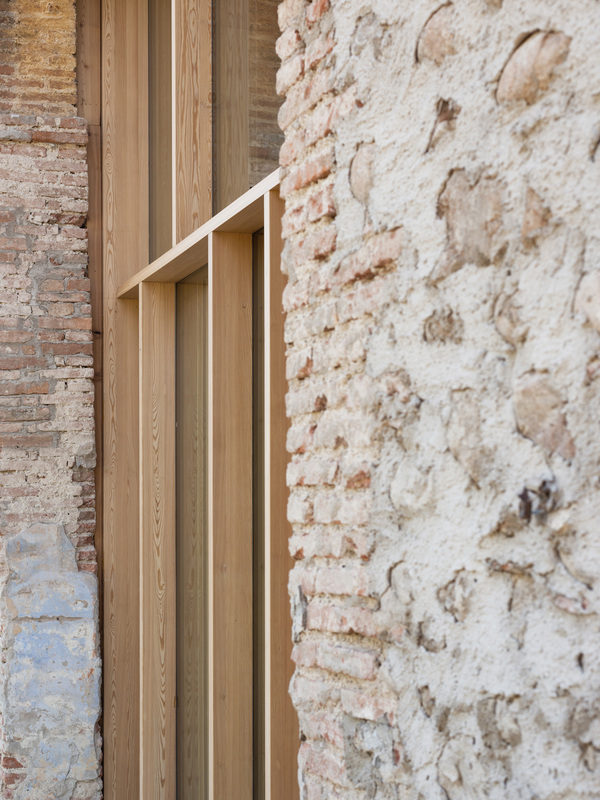 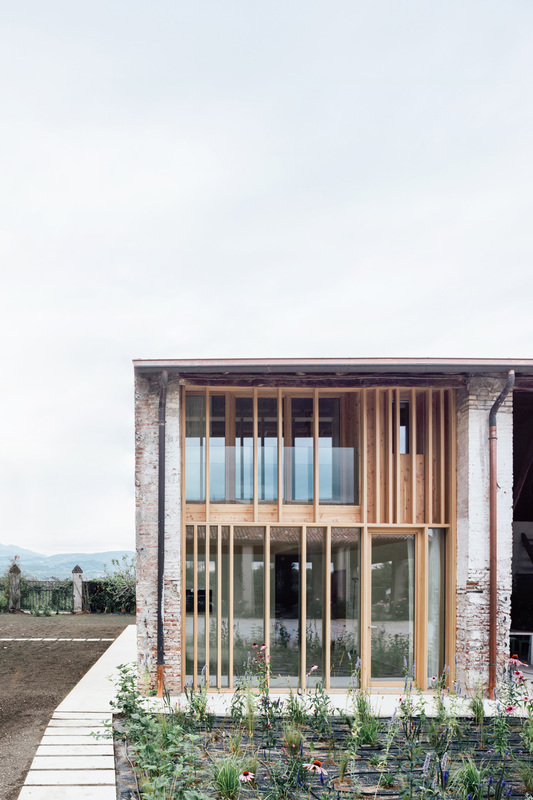 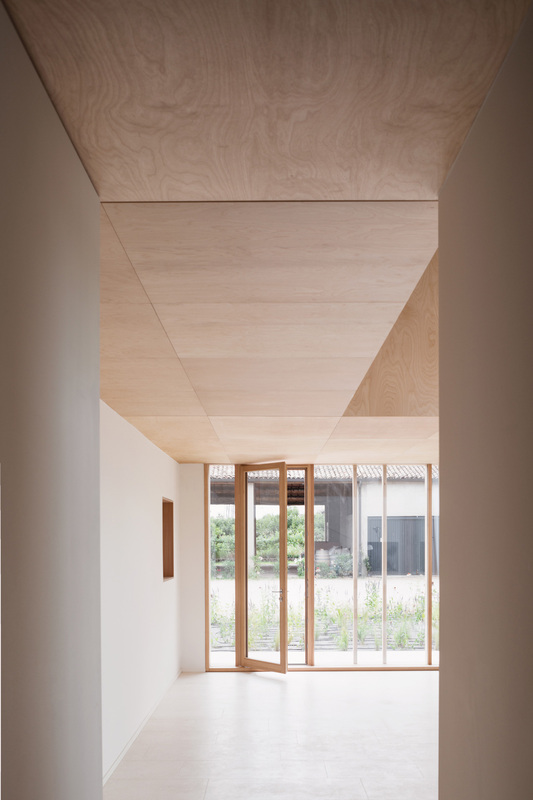 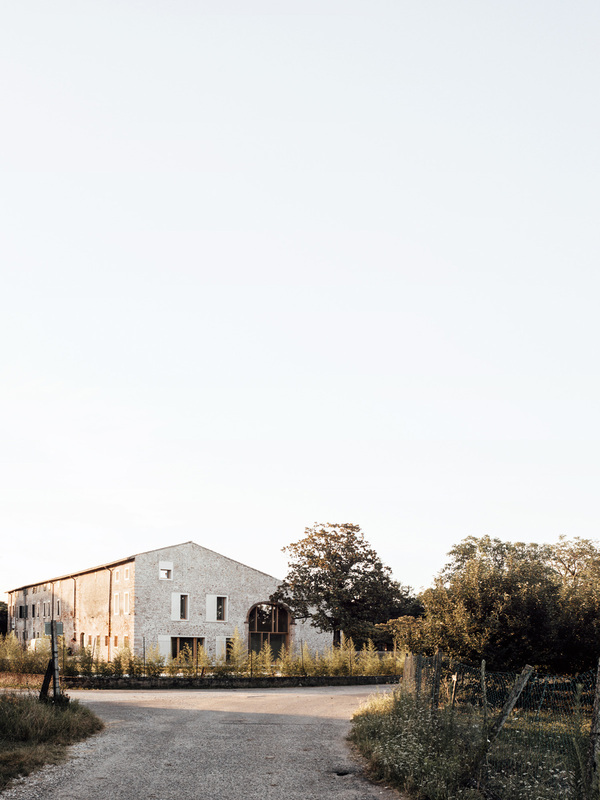 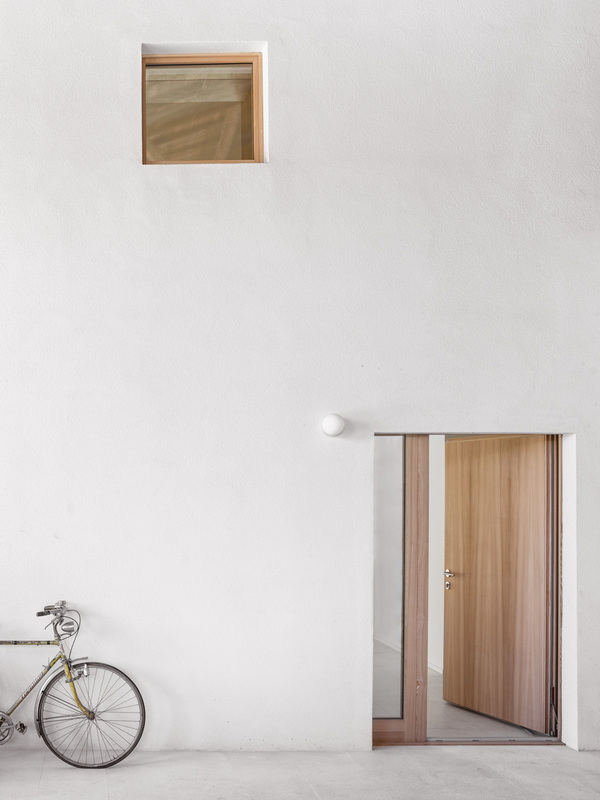 The front facing the courtyard is characterized by a glass façade with wooden uprights that recalls, in a contemporary way, the wooden walls typical of barns found in local rural courts. 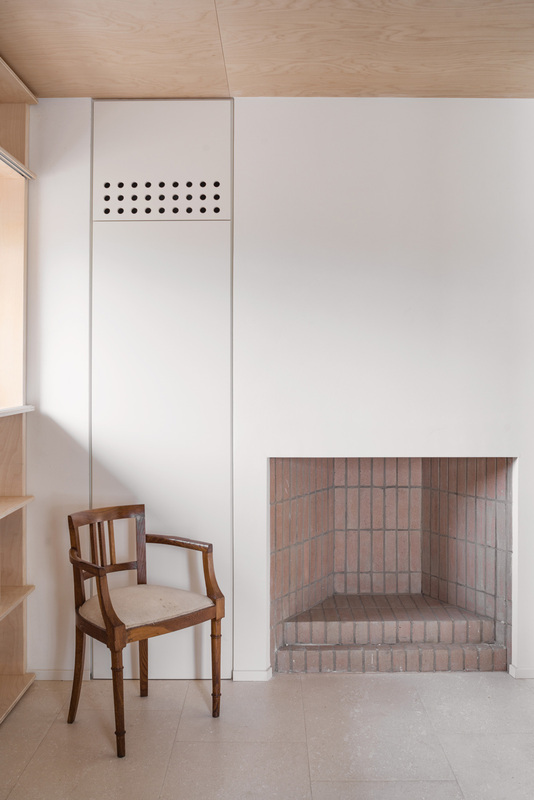 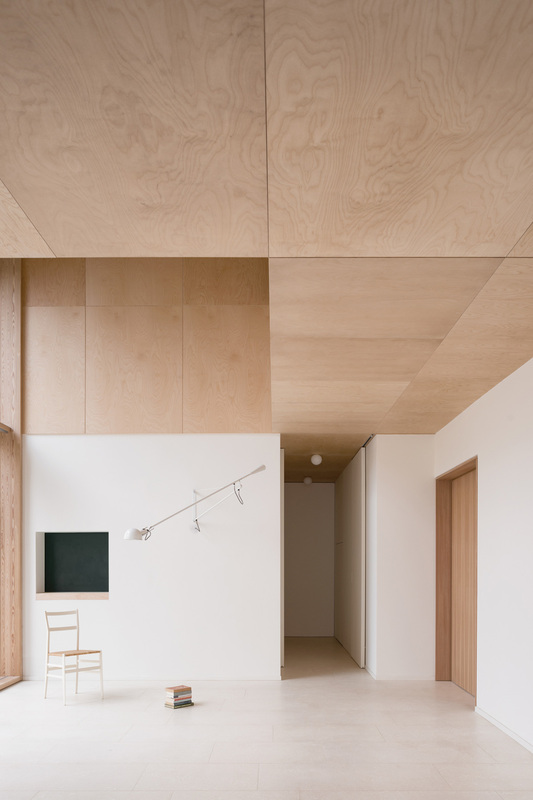 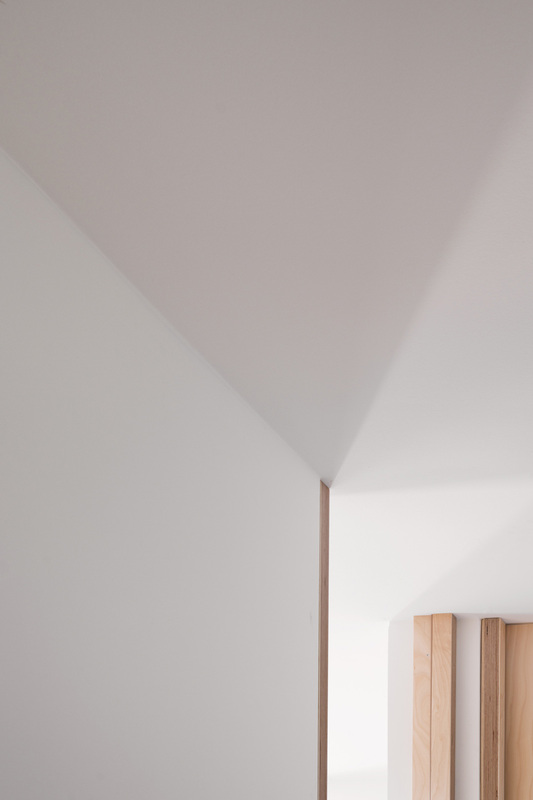 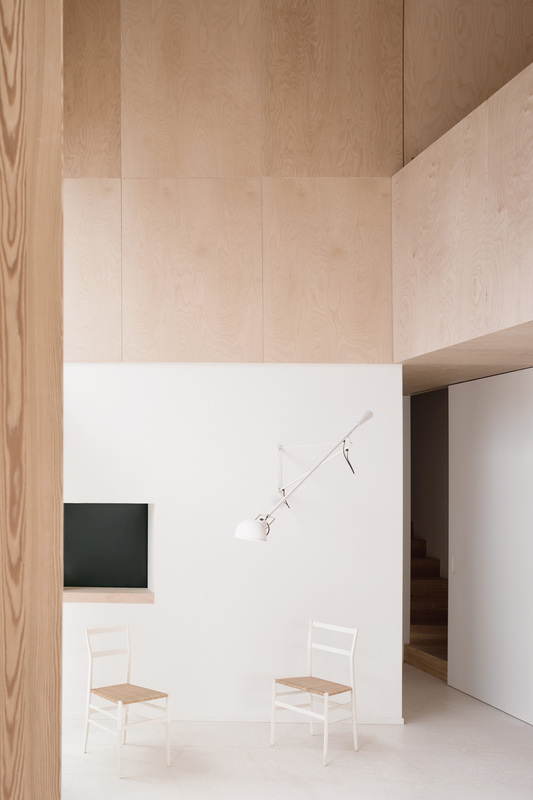 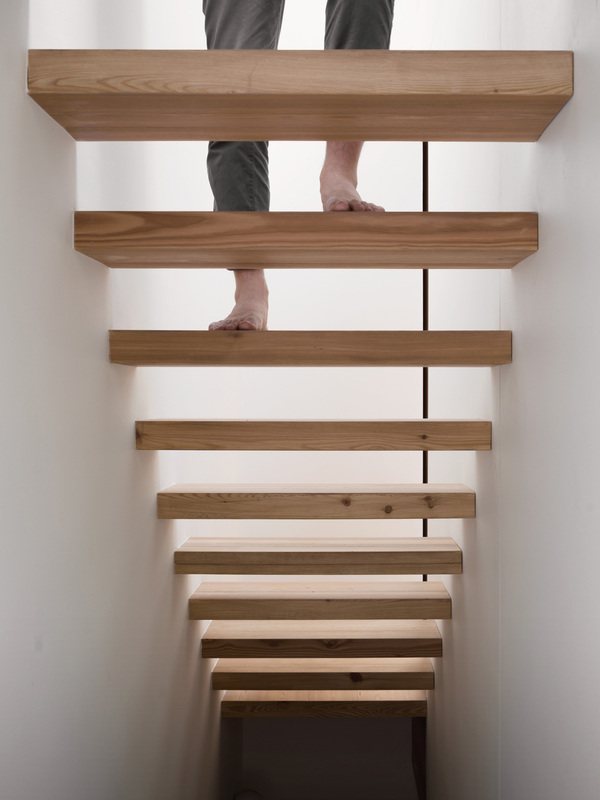 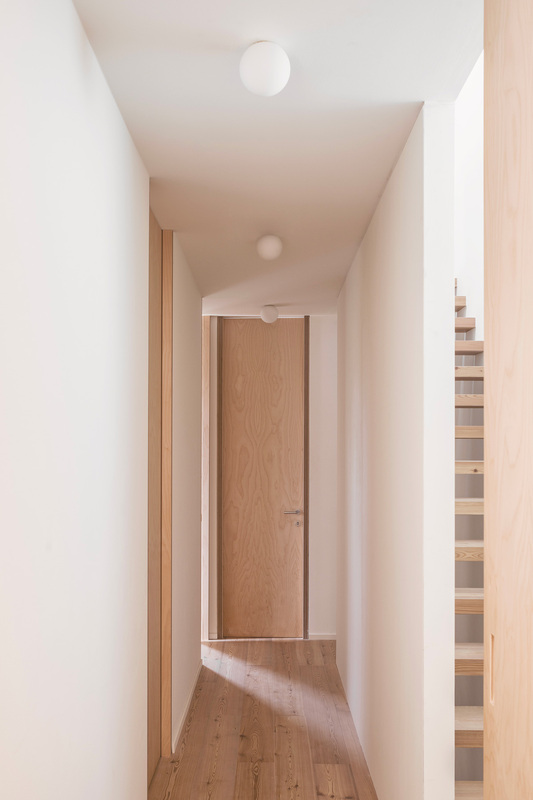 The house is set out across three floors and all levels engage with the space at the full height of the living room. 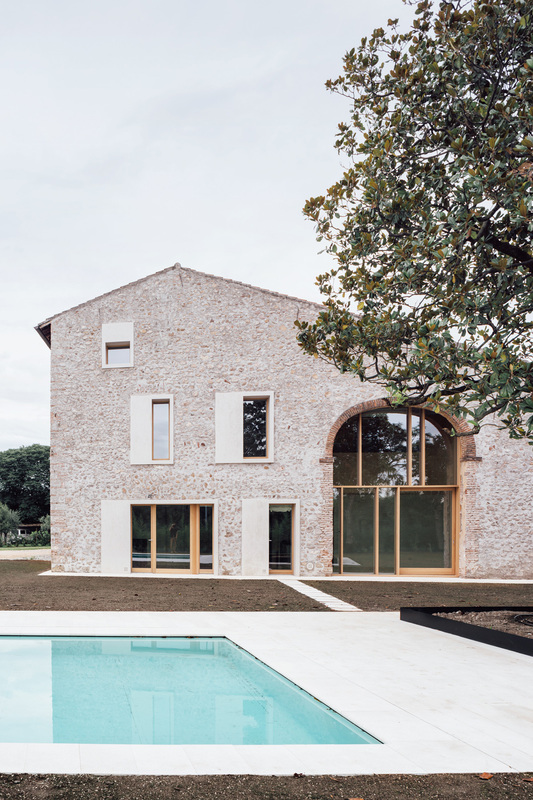 The ground floor, distinguished by a Vicenza stone pavement, welcomes guests into a large living area and a library with brick fireplace; the upper floors, perceived as a wooden volume hanging from the ceiling, contain the bedrooms.